Hi friends! Quick favor to ask here – would LOVE your help if you’re interested. 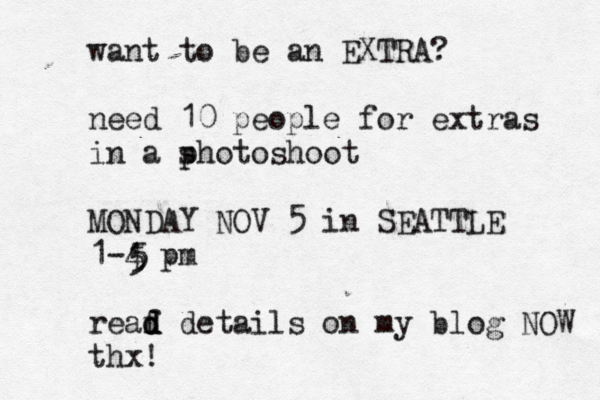 I need 10 extras to be in the background of an photoshoot TOMORROW – that’s MONDAY NOVEMBER 5TH in SEATTLE, from 1-5pm. _ able to dress the “look”. casual. extras are for background at a cafe/coffee shop, so whatever you’d wear to hang, chill, study, work, meet friends at a coffee shop. you will get no further instructions on this. _ mellow. sadly there will be no time for Q&A / education / hangout time… I will be working, so won’t be able to answer any questions about what I’m doing, why, etc. You’ll be working too, on a specific task – being an extra and following instructions…like working on a laptop or drinking coffee or reading. Hard stuff like that. 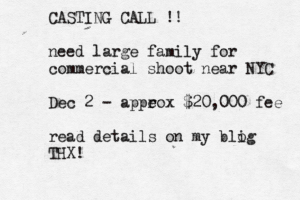 _ also, we will not be able to provide any shots for you, for your portfolio, etc. you’ll actually probably be out of focus in the background. If you want to be selected, you’ll be doing it for the fun, the money, or the experience, etc. 3. Include ad headshot or ANY photo of you like you look now (not in 1997…). Do NOT send some crazy fancy shot of yourself. 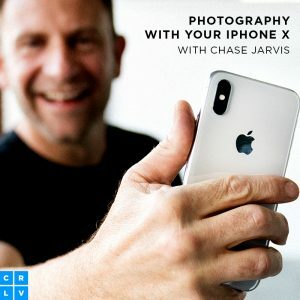 Just send a snap of yourself – iphone, laptop, facebook profile shot, etc. Simple. We’re especially NOT looking for supermodels. We want everyday peeps. 4. IF YOU ARE SELECTED (primarily based on response time ) YOU WILL GET AN EMAIL BACK TONIGHT by 8pm PST with confirmation and further instructions. No return email means we are all set. 5. If you aren’t selected, don’t sweat it. This is meant to be fun – we’ll try again another time. Huge thanks for the short notice help. I am very grateful!